Binghamton's most talked about restaurant. 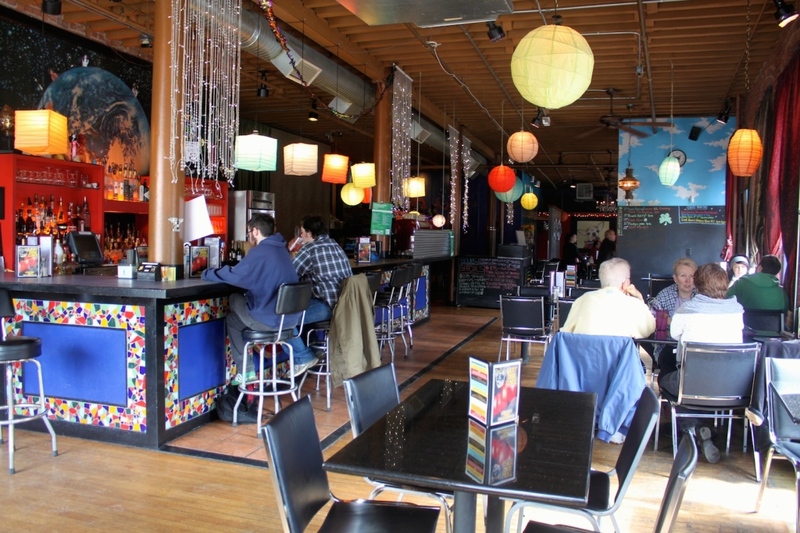 There’s nothing better than great food and a good story, both of which you’ll find when you eat at the Lost Dog Café. I won’t spoil the story for you, but I will tell you about the food. The Lost Dog is one of the first places that I was told to definitely visit when I first came to Binghamton, and it doesn’t disappoint. The atmosphere is what you would call “hipster,” with eclectic décor choices that are combined perfectly to create a fun but relaxed atmosphere. It’s the perfect place to take your friends from out of town, go on a laid back date or just have a fun meal with your friends. Their menu options are perfect if you’re looking to eat healthy-ish, but still eat well. Many of their dishes are marked as gluten free, vegan, organic or a combination of the three. 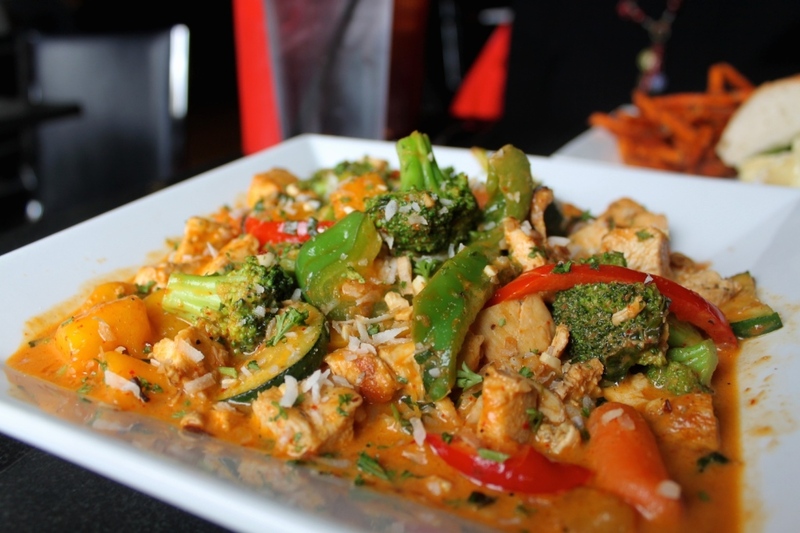 They offer a lot of crowd pleasers, like burgers and rigatoni a la vodka as well as some more interesting options like the Mango Red Curry, which is a delicious combination of mango chunks, zucchini, carrots, peppers, broccoli, basil, rice, chopped peanuts and toasted coconut. Their sandwich options are pretty glorious as well. 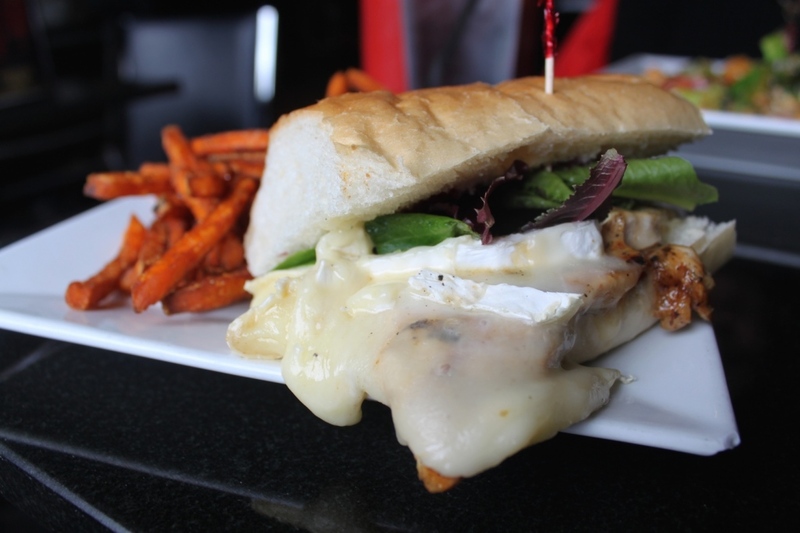 My personal favorite is the brie and berry chicken melt, which is a grilled cheese topped with raspberry sauce, melted brie and organic greens on french bread. And let’s not forget everyone’s favorite, dessert. They’ve got something for everyone on that menu. 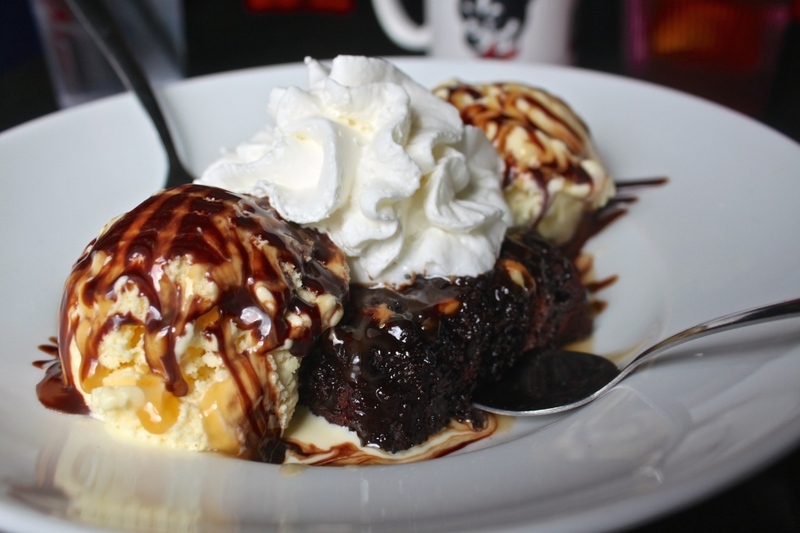 My personal favorite being Good PMS (Perfect Mexican Sunday), a brownie topped with chopped nuts, peanut butter and caramel, and of course a hefty helping of ice cream on the side. You can find out more information about their events and menu options online here. If you haven’t been to the Lost Dog Café yet, it should be on your list of places to eat in Binghamton before you graduate.